In this commentary, UNU-ISP researcher Christopher Hobson considers the findings of two recent independent commission reports about the 11 March 2011 Fukushima nuclear power crisis, and ponders whether TEPCO — and the Japanese power industry — has learned the proper lessons. Almost a year-and-a-half after the “triple disaster” (earthquake, tsunami, nuclear power plant crisis) that struck Japan, the country is still struggling to come to grips with the immense challenges it faces in rebuilding. Some of the most difficult issues stem from the Fukushima Dai-ichi power plant, site of the second-worst nuclear accident in history, which has potentially made parts of the region uninhabitable for decades, and left the future of tens of thousands of people uncertain. Considering the extent of the disaster, there has been an understandable focus on the culpability of the plant′s owner and operator, the Tokyo Electric Power Company (TEPCO). Two independent commissions on the accident that recently submitted their findings are in agreement over TEPCO’s considerable responsibility for what occurred. The investigations also made clear that TEPCO’s behaviour during — and after — the crisis has been gravely inadequate. Much like the banks that were bailed out after the financial crisis they had helped cause, TEPCO seems to be another case of a flawed organization deemed “too big to fail”. The company has received a massive injection of taxpayer funds totalling ¥1 trillion ($12.8 billion), and it will burden the public further by increasing the price of household electricity by 8.46%. Yet this will barely even begin to cover the total costs of the disaster, which are estimated at more than $100 billion. Despite its central role in a disaster that has left an indelible wound on Fukushima and on Japan, there is limited evidence that TEPCO has sufficiently learned from the disaster. Unsurprisingly, its own investigation emphasized the “unforeseeable” nature of the massive tsunami. On this point, the Kurokawa report chastised TEPCO for its hasty judgment that the earthquake played no role in the accident, suggesting this was again ”an attempt to avoid responsibility by putting all the blame on the unexpected (the tsunami) … and not on the more foreseeable earthquake‚. The Hatamura report explicitly noted TEPCO’s lack of cooperation during their investigation, saying that it “has not demonstrated sufficient enthusiasm in thoroughly clarifying the causes behind the accident and thereby contributing to the prevention of the recurrence of a similar accident”. While TEPCO may be trying to limit its liability and thus stay solvent, such an attitude is not appropriate given its part in the events at the Dai-ichi nuclear plant. Further signs that TEPCO has not greatly changed can be found in its treatment of workers attempting to stabilize and clean up the plant. TEPCO has an established history of outsourcing the most dangerous tasks to subcontractors, concealing the levels of radiation that front line workers are exposed to, and other highly questionable business practices. Following the accident at Dai-ichi, there has been a major need for manpower to assist in managing and cleaning up the plant. This has led to a massive influx of subcontractors sent to Fukushima, some of who have been forced to work in dangerous and unsafe conditions. These workers, taken from the most vulnerable parts of Japanese society, lack the resources or opportunities to avoid such dangerous work. The clean-up workers have been described by an investigative journalist as a “motley crew of homeless, chronically unemployed Japanese men, former yakuza, debtors who owed money to the yakuza, and the mentally handicapped”. The considerable health risks they face are exacerbated by subcontractors receiving poor-quality protective gear, and being pressured by superiors to conceal the full amount of radiation the crews are being exposed to. These vulnerable people also must deal with the stigma of working at Fukushima. In addition to the immediate and longer term physical health risks they face, research suggests that the workers are suffering from depression and anxiety. Further, they are experiencing cases of discrimination, having become a lightening rod for people′s anger at and frustrations with TEPCO. The issue of the attitude that TEPCO has adopted towards Fukushima and Japan is not simply about apologizing and accounting for what happened at Dai-ichi. While this remains vital, the willingness of TEPCO to seriously acknowledge its failings and learn the lessons of Dai-ichi is also very relevant for the country’s future. 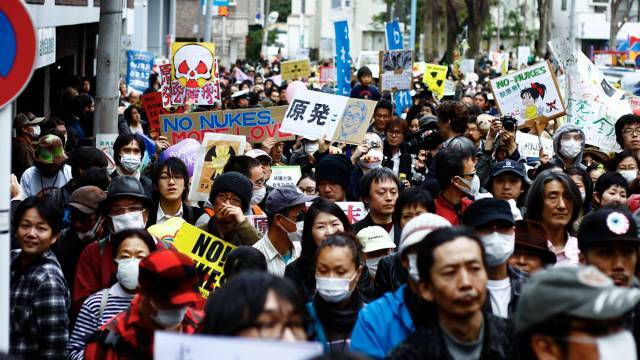 Japan is now trying to decide what role nuclear power will play in its future. Despite widespread anti-nuclear sentiment, there may be compelling economic reasons for nuclear power to still comprise a part of Japan’s energy policy. It is highly difficult to make that case, however, when looking at the behaviour of TEPCO and its continued unwillingness to earnestly reflect on the Dai-ichi disaster. Until TEPCO — and other Japanese power companies — show much clearer signs of having learned the lessons of Fukushima, entrusting them with the responsibility of operating nuclear power plants in a disaster-prone island nation seems by many to be an unwise path for Japan to take.